Introducing the first summit finish in the five year history of the race plus an impressive lineup of UCI ProTeam and Pro Continental squads, the organisers of the Presidential Tour of Turkey are aiming to ensure that the 2012 edition is the best one to date. The race will begin in Alanya on April 22nd and will include a climb that the race director Abdurrahman Açikalin suggests could be very decisive. “Following the start in Alanya, we’ll head towards some of the traditional stage finishes in Marmaris and Kusadasi”, he said. “But we’ve also followed the request of the teams’ directors who asked us to come up with an uphill stage finish. The more selective route could entice bigger names to take part, but the race appears to be working well in other ways to boost the field. A field of 200 riders from 25 teams will line out this year, the most to date, and of those eight will be UCI WorldTour teams. The squads concerned are Ag2r-La Mondiale, Astana, Greenedge, Katusha, Lampre-ISD, Lotto-Belisol, Omega Pharma-Quick Step and Saxo Bank. There will also be no less than fifteen Pro Continental squads, namely Accent Jobs-Veranda Willems, Andalucia, Bretagne-Schüller, Caja Rural, Colnago-CSF Inox, Colombia-Coldeportes, Europcar, Farnese Vini-Italia, Project 1t4i, Rusvelo, Spidertech, Team NetApp, Team Type 1, UnitedHealthcare and Utensilnord-Named. The lineup will be completed by the Turkish Continental squads Salcano-Arnavutkoy and Konya-Torku Seker Spor. The 2012 edition will see the race reverse the usual format, with the previous trend of starting in Istanbul and finishing in Alanya being switched around. He explained that the reason for changing the route is to put more emphasis on the start town. The fact that Istanbul is the European capital of sport this year also means it is fitting as the conclusion point. “We want to highlight cycling in Alanya for a few days,” he explained, then detailed what that would involve. “We’ll organize a very nice teams’ presentation in the center of town. People from Alanya will be able to hang out with top professional cyclists and get to understand more about this sport, which is rapidly growing in Turkey these days. The sport has been growing well over the past four years, with the Presidential Tour of Turkey starting in 2008 and seven international category two races being created in that time. In addition to that, two continental teams have been established and, thanks to three mountain bike riders, the country will compete in the Olympic Games this summer in mountain biking. 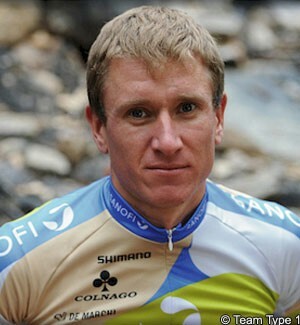 Last year’s race was won by Team Type 1 rider Alexander Efimkin (pictured).